Companies today face the challenge of developing their activity against a background dominated by increased competition, growing legislation and an economic situation which, although in the process of improvement, is not what we would hope for at the moment. Accordingly it is essential to have appropriate legal advice which allows the optimisation of resources and minimises the risks derived from this situation. 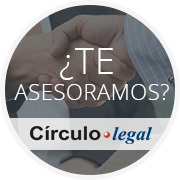 At Círculo Legal, we offer comprehensive advice for operators of the sector and attend them day by day or in a timely manner according to their specific needs. Meanwhile, with regard to consumption, we take care of claims to the supplier of goods or services, or purchases through the Internet, consumer arbitration and administrative bodies; advise you in terms of the consumer and prepare claims on any topic related to the mobile phone, problems with your travel, bills, etc. Corporate: company formation, increase and reduction of capital, charter amendment, partner agreements, records of meeting and council minutes, bookkeeping, on-going advice in corporate matters. Corporate Restructuring: mergers, divisions, joint ventures, etc. Company Acquisition: due diligence, drafting and negotiation of contracts. Disinvestment: selling shops, venues, businesses or branches of activity. Real Estate: buying, selling and lease of premises. Urbanism: dealing with licensing and urban planning instruments. Financing: Loans and credits, guarantees and warranties. Commercial Contracts: franchising, distribution, agency, advertising, logistics management, e-commerce. Administrative and Regulated Markets: Competition Law, Consumer Rights, product responsibility, environment, data protection, anti-money laundering legislation. Industrial and Intellectual Property: trademarks and other intellectual and industrial property rights. Mediation and Arbitration: legal or arbitral proceedings, as much in commercial and civil matters as in administrative, labour, fiscal and criminal ones.